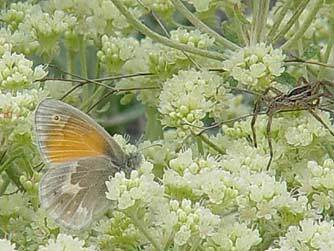 Common ringlet butterflies may also be known as ochre ringlet, Northwest ringlet, large heath or Coenonympha tullia. 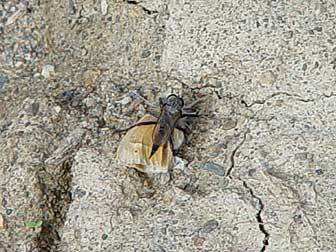 They have adapted to depend on grasses as the host plants for their caterpillar larva. 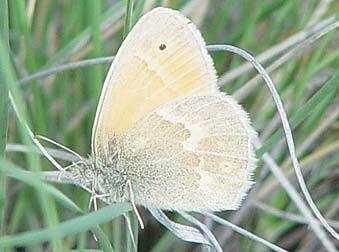 Common ringlet butterfly appearance differs widely depending on locale, and this species has at least 4 subspecies. 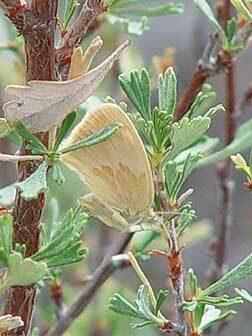 Wing color may range from dark orange-brown to pale cream, while the underside of the hindwing is gray-green with a wavy white median line and the underside of the forewing usually has a small eyespot near its tip. Common ringlet wingspan is about 1-1/4 to 1-1/2 inches across.